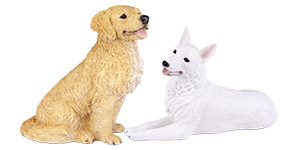 Made of quality resin, these attractive figurines are weather resistant and color stable. Outside use is acceptable, but like anything, we suggest a location that is protected from harsh weather, direct sunlight or vandalism. In cooperation with our Italian design team we spent 3 years of tedious artistic design efforts, clay carvings and final molding expenses. 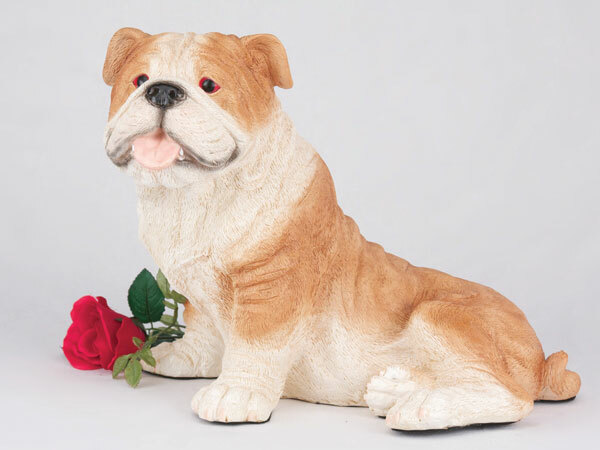 In the end, we were able to compile the most diverse and widely accepted offering of purebred figurine urns in the pet urn marketplace today. Please accept our condolences of the loss of your pet. We believe the bonds of love formed between you and your pet will truly last forever, not just a lifetime.